Learn about and understand technologies that are part of access control systems. Access control has been a very common technique extensively used from the ancient times to restrict persons or risk factors from accessing any secure place, asset or people. The human intervened techniques would be used in old ages, but numerous modern technologies have been adopted in the access control techniques nowadays. Despite the use of latest technologies, the basic principle of access control is still all about restricting/granting the access to who, what, when? The access control technology has transformed from a very basic physical technique to the best access control technology powered by computers and software platforms. Before we dig into the crux of the matter, we should have an overview of the background of access control technology. Let’s expand on the access control technologies in chronicle order. First ever technology used in access control was physical access control. It would use the physical barriers to restrict access, such as fences, trenches, walls and other hurdles. The second era of access control was the mechanical era of physical access control. In mechanical access control technology, the mechanical locks and manual controls based on human intervention were used. The mechanical technology remained in-use for very long periods; even today, this technology is being extensively used along with the modern technologies. In this technology, mechanical locks and keys are used through human intervention to operate it. Modern technologies – commonly known as digital or logical access control technologies – are being used to safeguard both physical resources as well as logical resources. 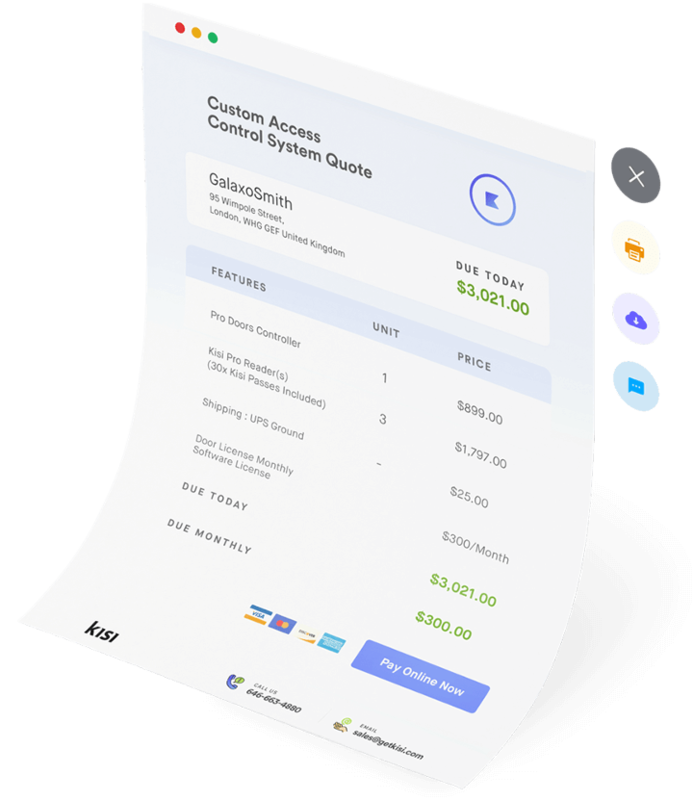 These technologies include, intelligent hardware components powered by the backend software platform and integrated through modern communication technologies. The human physical intervention has almost been eliminated in the operations of these access control technologies. Every modern access control technology qualifies as the best access control technology in one way or the other. Near Field Communication (NFC): Two NFC enabled devices establish a communication medium through an air interface by developing electromagnetic induction field between the two when they are brought near to each other. These access control devices work at 13.56 MHz frequency within the range of 1.6 inches. 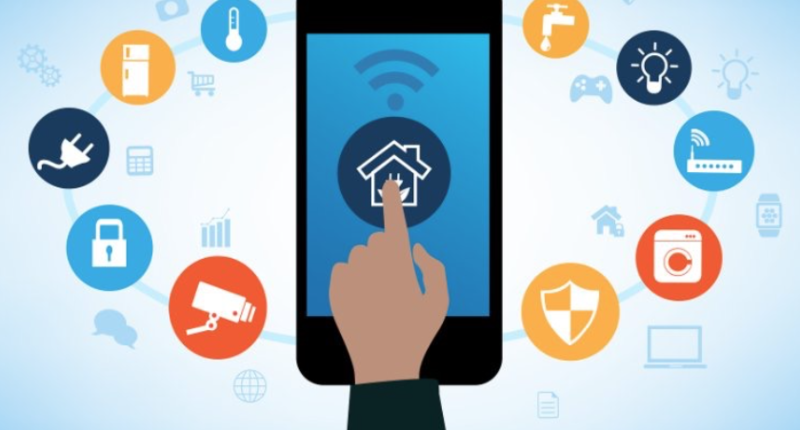 Internet of Things (IoT): This is IP based communication between all components of access control technologies, which are IP enabled intelligent devices. They use the internet to establish communication between them. Radio Frequency Identification (RFID): In this technology credential information is stored on a tag that is attached to a carrier. When come in proximity to the reader device, electromagnetic waves are generated and captured to read the information and allow/deny access. Physical Access Control System (PACS): This is based on personal information card verification (PIV) card and card reader. This technology is used for government and security related areas. It involves two step authentication process. Power over Ethernet (PoE): This technology uses cables that carry both data signals and power to supply the access control components like IP cameras, telephones, access controller, routers, access points and other elements. This is very cost effective access control technology. Mobile Access Control: The mobile devices are converted into electronic key fobs by installing application on it, which uses wireless technology for communication. The mobile device can also be used to manage and control the entire access control system of a particular area or building. Bluetooth Access control: This uses the power of Bluetooth enabled devices. The data transferred between two devices through frequency hopping spectrum spread radio interface, which operates in ISM band of frequency. It is effective up to 800 feet distance and 50Mbit/sec data rate. Wired Access Control Technologies: These include CAT6 cable communication, PoE access and traditional wiring solutions. The communication between different components may take place through different communication protocols. Wireless Access Control Technologies: This is a generalized category of wireless technologies used in the access control system. Bluetooth, NFC, RFID, mobile and others fall in this category of access control technologies. The access control technology overview of individual categories can be further expanded in terms of features and capabilities to integrate different backend technologies and software applications. Access control technology has evolved from a very basic technique to the latest software controlled intelligent access control technology, as shown above in the access control technology overview section. There are many terms that are very necessary to know about for better understanding of the concepts of modern access control technologies. A few very important terms are explained below. Access Credentials: This is the valid password, biometric pattern or PIN code or other data used to access the system provided by the access control system administrator to the users. Authentication: Authentication is a process to verify the access credential provided by users. In this process the input credentials are compared with the original data created on the system and verified or rejected. Authorization: Authorization is the authority to a user provided by the administrator to access any particular area or assets. Access Control List (ACL): It is a list of IPs or any other intelligent device addresses in the access control systems that the users are allowed to access in a particular condition specified in the authority. Access Control Topologies: Access control topologies are the schemes or designs to connect and configure a particular access control system. There are different types of access control topologies that are used in the modern ACS systems. For example, Standalone, integrated, serial controllers, serial controllers & intelligent readers, serially connected main & sub-controllers, network enabled controllers, IoT based controllers and others. Access Control Models: The access control models are the software level management schemes to assign the access authority for a particular user. For example, the organization based control model allows the third party organization team members for a certain time, area and assets to access for contract work. Similarly, in authority level model, a CEO is assigned to access any part of the office building. There are many access control models commonly used in ACS system, such as Identity based access control, role based access control, mandatory access control, attribute based access control and many others. Access Control Technology Components: All devices and products used in an access control system are referred as access control components. The details of access control technology components follow in the next topic. Electric Locks: The most fundamental item in the access control technology components is electric lock. The lock is the device that physically prohibits the intruders from entering into the area or accessing the assets. Numerous types of locks are used in access control systems for example, mechanical locks, electromechanical locks, electric locks and digital locks. Card Readers: Card reader is another basic component of ACS system. It is used to read HID cards, key fobs, mobile apps, magnetic information and others. There are many types of card readers based on the modern technologies such as wireless, magnetic, Bluetooth and NFC card readers. Access Control Keypads: It is similar to card reader, but uses a keypad to input the password, PIN or access number. Access keypads are available in both the hard keys and digital key formats. Access Controllers/Field panels: These components are the core of the entire system. Access controllers can integrate multiple readers on the downstream side and connect to the main software platform. This is the brain of the entire access control system. 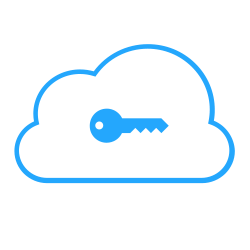 Access Cards/Key Fobs: Access cards are available in different formats that carry information in the form of magnetic or digital data. Many companies offer dedicated key fobs to access the control system. The most common example is the HID card. Communication Media: This is one of the most important access control technology components. What type of technology is used in the ACS system is commonly known due to the communication media implemented in the system. 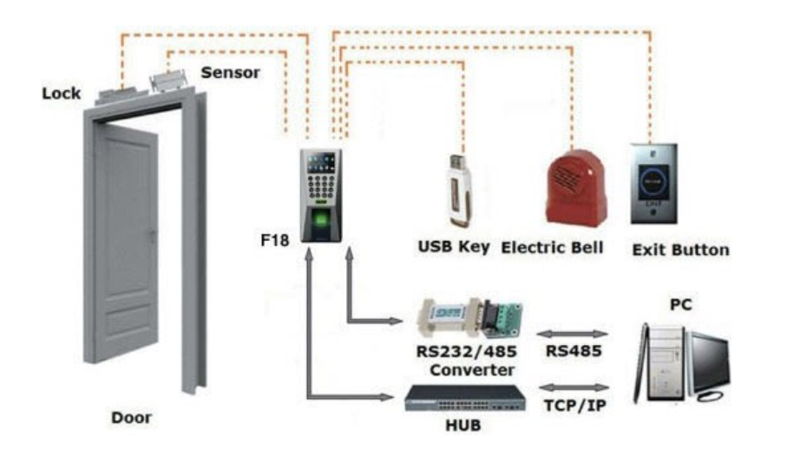 Wireless, Bluetooth, NFC, RFID, IoT, Cat6, serial R-232/485 and other are the examples of communication media of access control technology; and they are referred as access control technologies too. Access Control Server: It is a computer that runs the access control management software to configure and modify the data in all access control components. Like many other fields, the technology landscape is changing very fast in the physical security domain, especially in access control. The mushrooming of latest access control solutions based on newer technologies creates confusion in the customers. So, let’s simplify this confusion by providing the most desirable things while selecting a good access control solution. Should support all configurable features like zoning, time based access, role based access, level based access, count based access and other factors. Should support multiple types of authentication input such as, biometric, passwords, mobile app, cards, key fobs, two factor authentication and others. Should be affordable and powered by professional grade customer support.